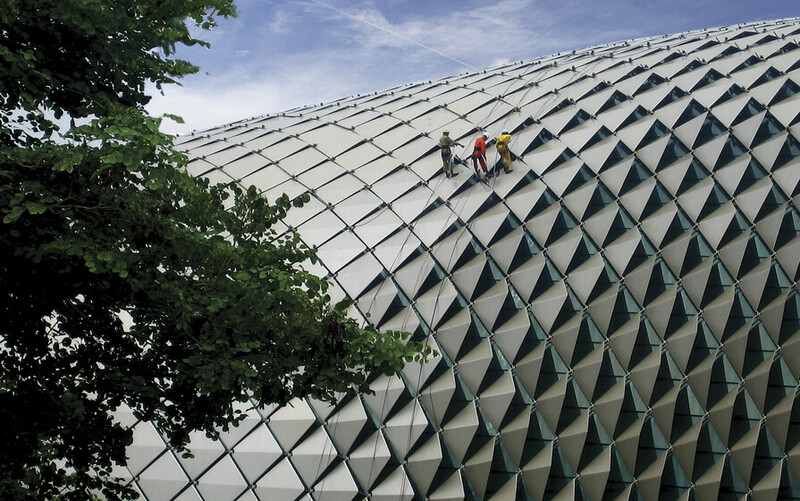 In collaboration with Atelier One, we worked to develop the external envelope system forthe new Singapore Arts Centrewhich commenced constructionin 1997. 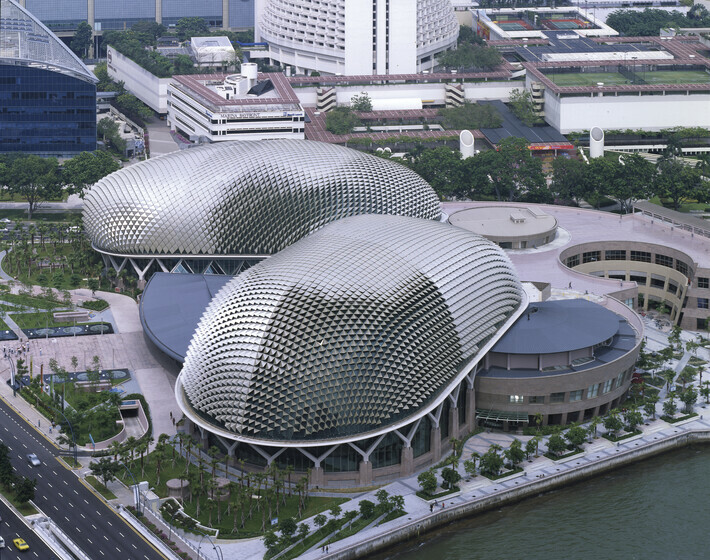 Esplanade, Theatres by the Bay, is a waterside building located on six hectares of water-front land alongside Marina Bay near the mouth of the Singapore River. 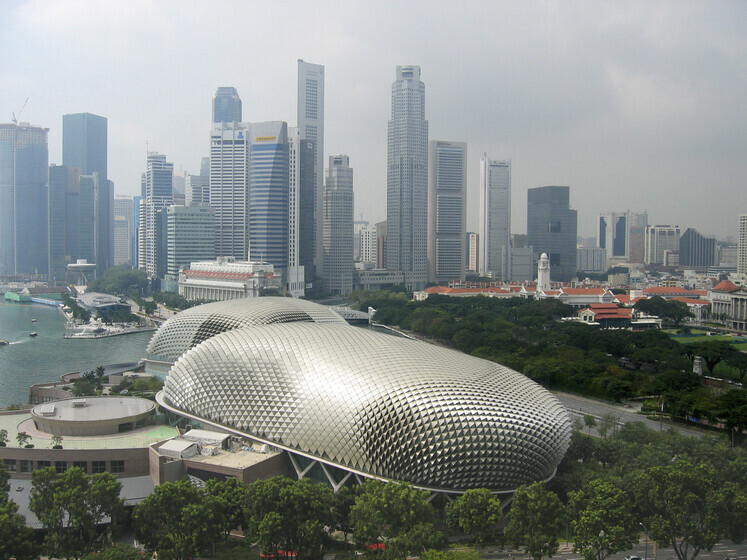 The venue was purpose built as the centre for performing arts in Singapore. 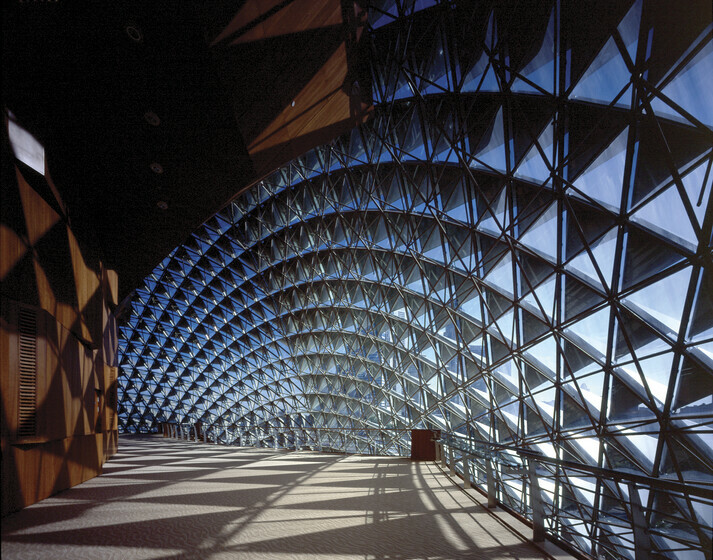 Drawing extensively on the indigenous architecture of South East Asia, our design for the building’s skin was made up of a doubly-curved gridshell with glazing on the inner surface and folded diamond shaped shading panels on the outside. 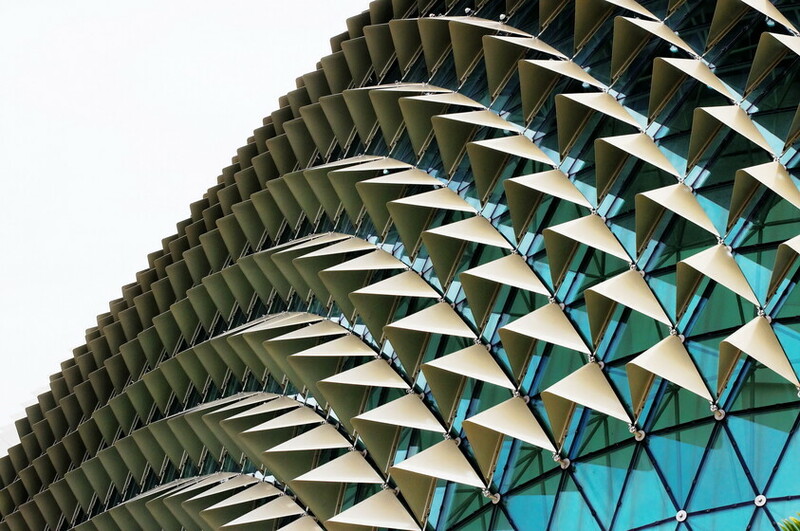 The shading panels, or leaves, were designed to filter the sunlight but allow a proportion of sun to enter the interior of the foyers to animate and enrich the space. The reduced solar gain allows the centre to achieve low-energy targets. 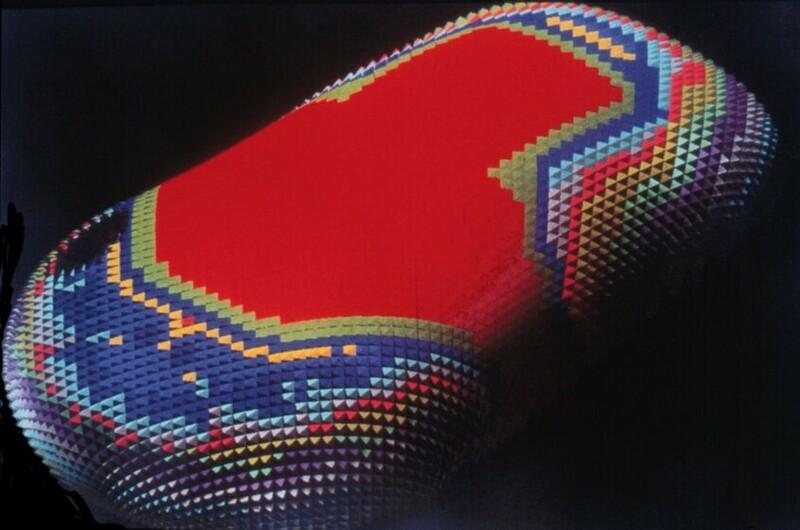 Computer models were developed inhouse to allow the many variables to be manipulated in order to derive optimised shade geometry for each orientation of the façade.